September | 2013 | Mme. While I was on blogging hiatus, life went on as usual. One of my favorite lives, in fact, turned 1! Yes, Mlle. is officially a toddler. 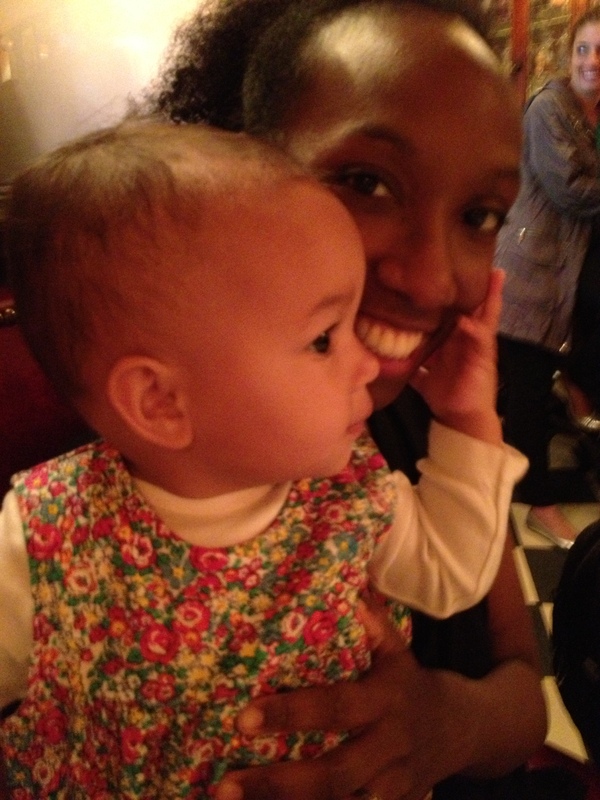 She is definitely the sweetest most playful little person I know and I am so glad that we were able to celebrate the anniversary of her birth in true New York style! 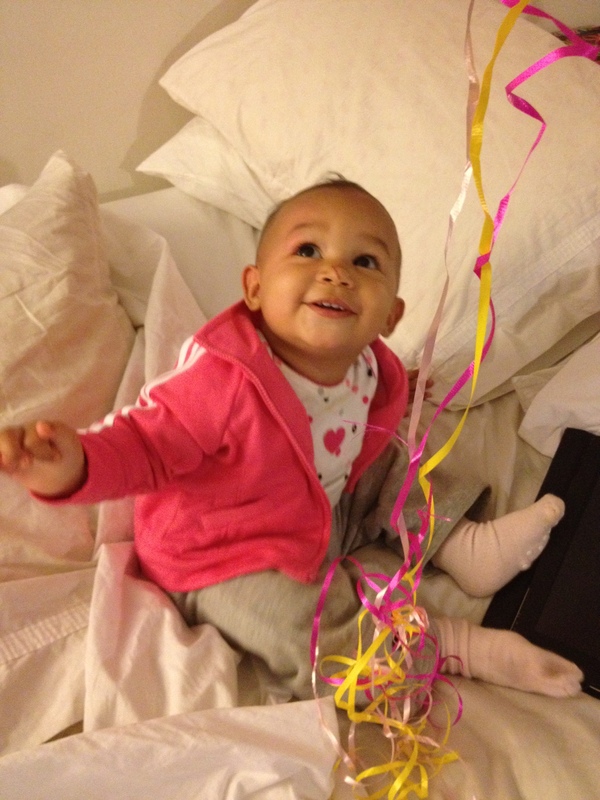 I am not one for huge, splashy parties for babies, err… toddlers. I think the party should suit the celebrant – and in this case, M. and I felt it appropriate to include ourselves as this was also the first anniversary of us becoming parents. Her birthday fell on a Tuesday so we began the commemorating on the weekend previous. 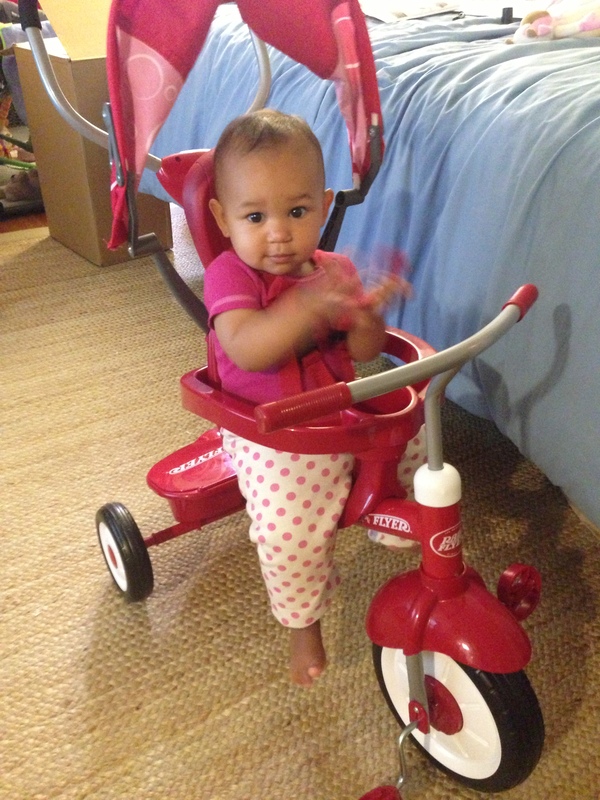 We assembled this awesome Radio Flyer 4-in-1 Tricycle and took Mlle for a ride around the West Village (which is where we call home). 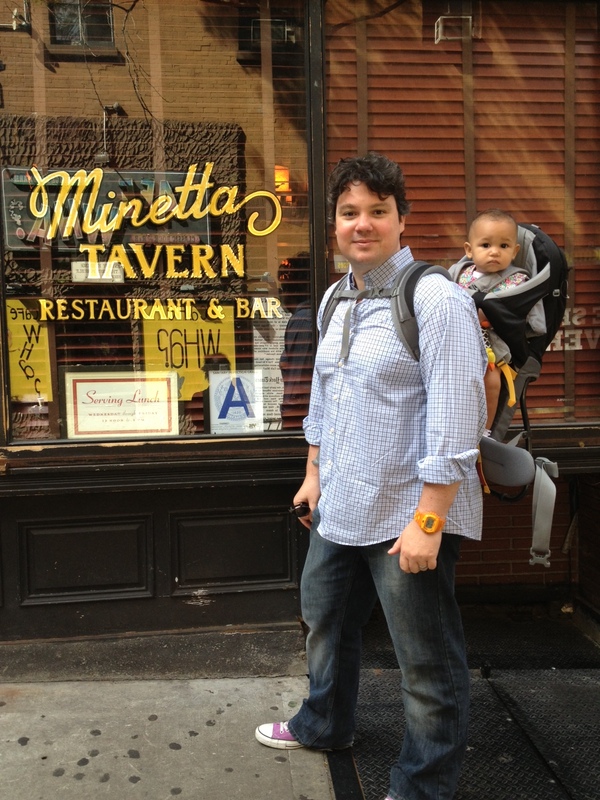 On Sunday, we treated ourselves to the most classic of classic NYC brunches at the legendary Minetta Tavern. 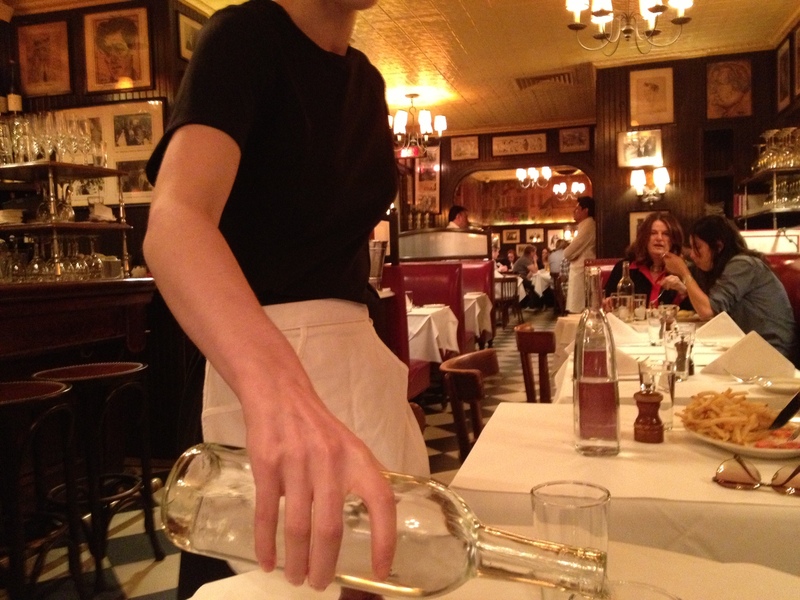 First opened in 1937, I consider Minetta Tavern a must-see for those who like this sort of thing. 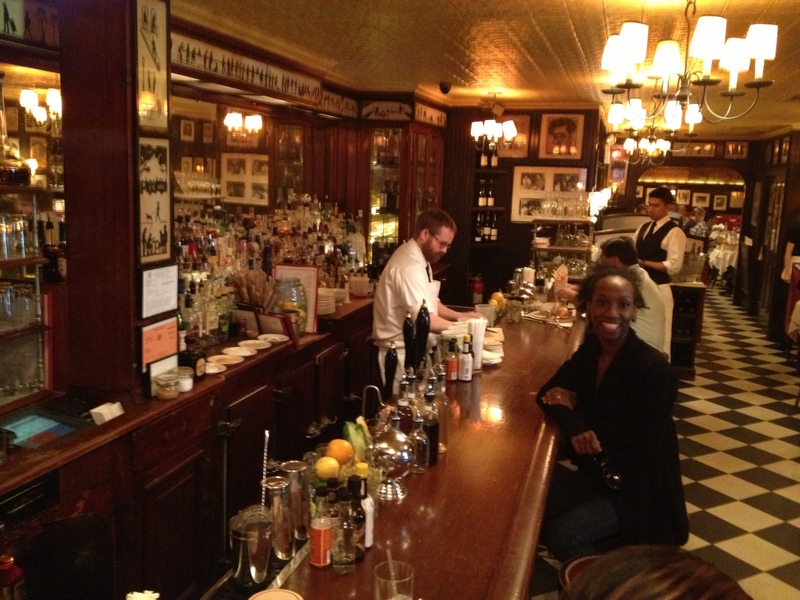 Once frequented by such personalities as Ernest Hemingway and Eugene O’Neill, stepping into Minetta Tavern immediately makes me feel like I am stepping onto a beautiful 1920s movie set (I don’t know what it feels like to actually step into the 1920s so, movie set is the best I can equate). Sitting at the magnificent bar makes me mourn the fact that jeans are acceptable attire in the tavern. I was glad, at least, that I had applied my new red lip stain (I love this stuff! I can wear it and still kiss my baby without leaving goop all over her). The staff is always gracious and attentive – and they were so sweet to Mlle! Plus, they didn’t seem to mind the giant Kelty Kids baby carrier we brought her in (it is smaller than a stoller and more stowable!). 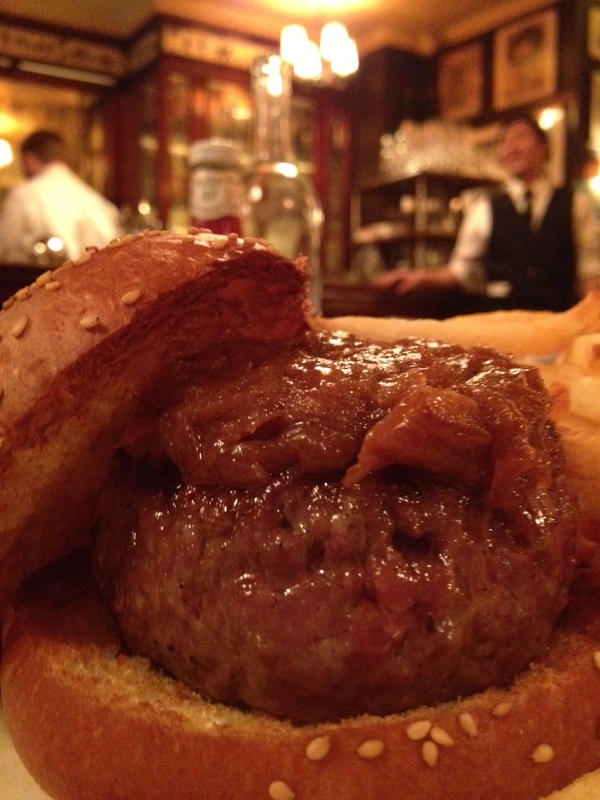 M. had the $26 Black Label Burger. I had the Shirred Eggs. We were both very satisfied. 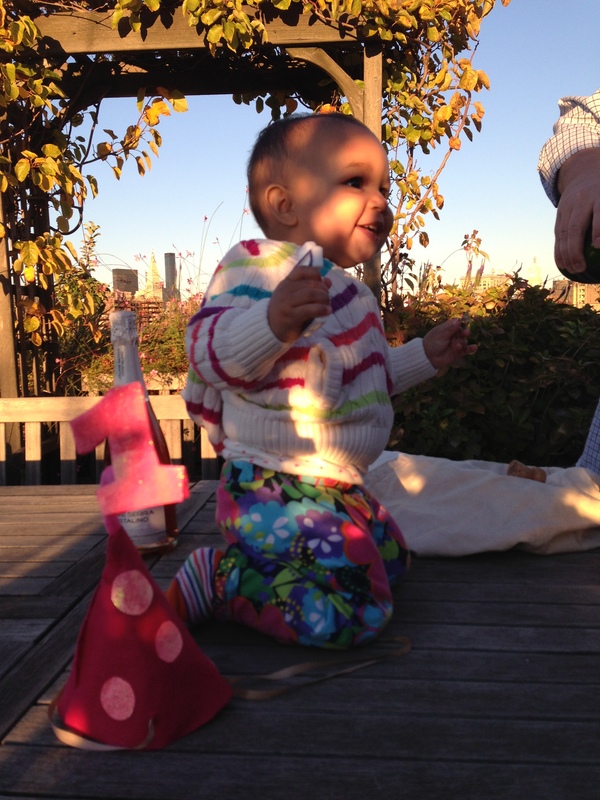 When her actual birthday came we gifted her with some new books and a Fisher Price Xylophone (just like the one I had as a child), opened up gifts from her maternal grandmother and invited her Godmother, Z, over to our rooftop for pink champagne and mini-cupcakes from Baked by Melissa. 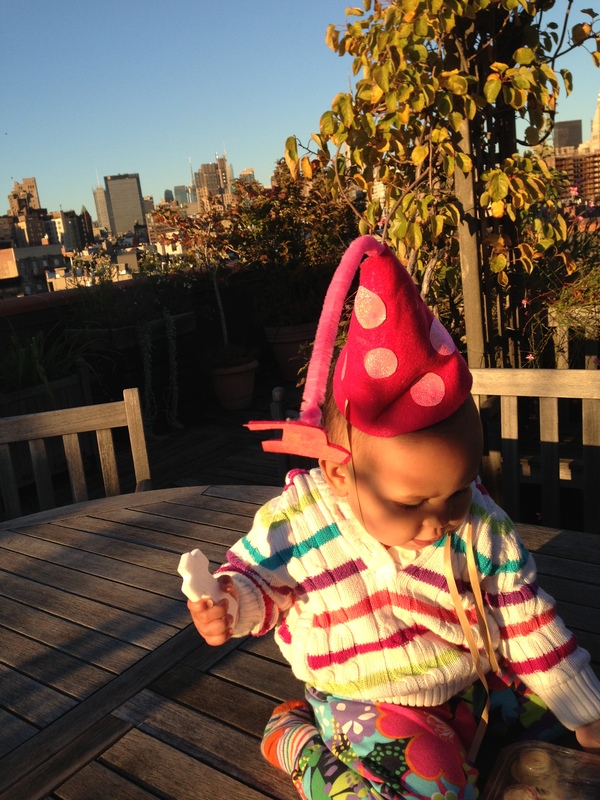 I made the party hat from felt, paper, a pipe cleaner and scrap ribbon. There’s a great template here! I am planning on making homemade party hats a birthday tradition. Here’s to another happy 365 days my New York baby!